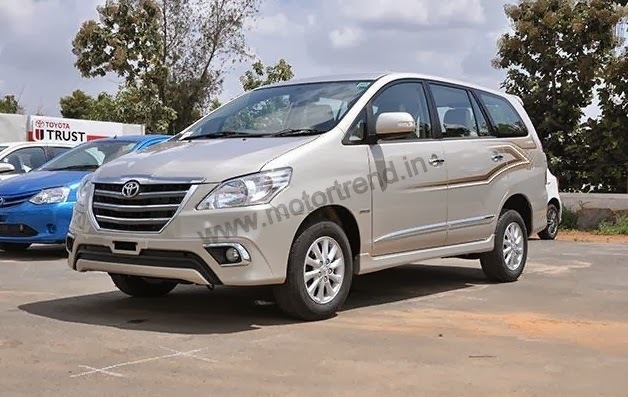 Toyota Kirloskar Motors, the world's largest automobile major has seen the sales of Innova going down in last few months. The car major has already planned a facelift for the model and spied images and other details including the pricing of the new car has already reached our readers, could be seen again here. 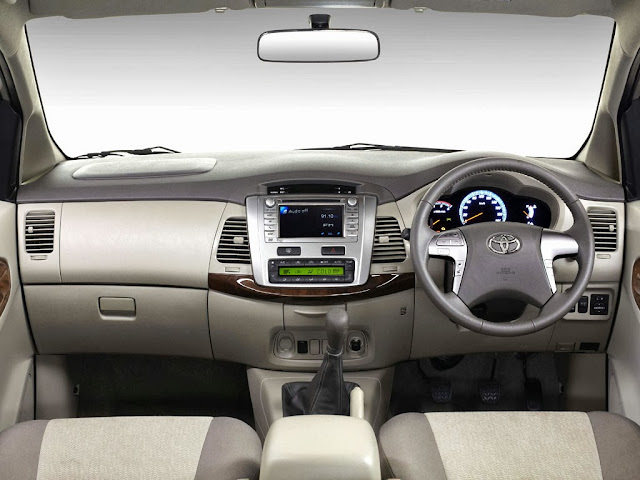 The top end variant, "Z" as would be introduced this time is priced a notch higher than the top end VX variant of ongoing Innova. The Innova Z variant would be priced at Rs 15.08 Lakh, appx. Rs 53,000 higher than current top end. We were to identify the features included in the new top end and thus the reason for the high price. We had earlier assumed that the new top end could get DVD player and roof mounted screen, however to out surprise there is a bad news. 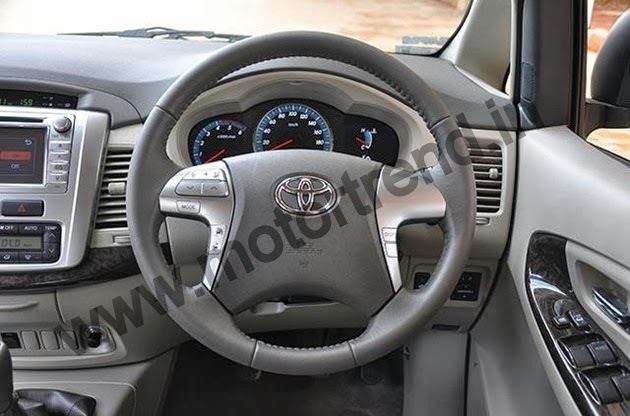 The new car which is priced higher than the current top end has none other changes than changed faux wood on the dashboard of the new car. 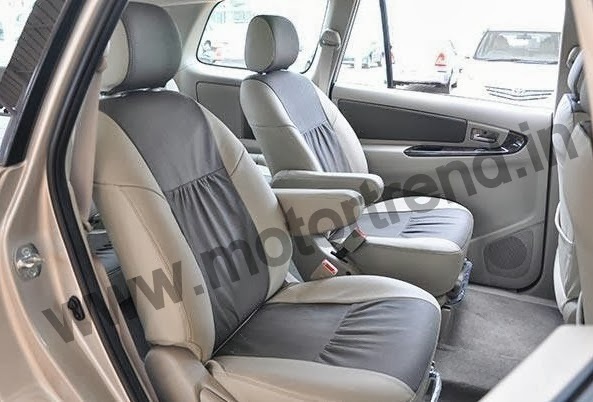 The rear seat though gets dual colored leather seating but it is not sure as of now that it would be available as an accessory or as a standard feature. Similar goes with body graphics as could be seen here and chrome strip running across entire length of the car. We will have to wait and watch for the launch to list out exact features that the new top end gets above the current version top end to justify the higher price. The launch is speculated to be on 5th October or 9th October however no confirmation from the carmaker as of now. Stay tuned for more, while pricing and other info. could be viewed here.